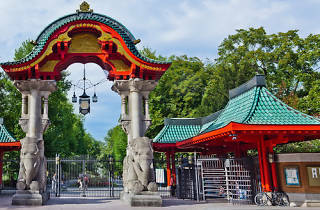 Germany's oldest zoo was opened in 1841 to designs by Martin Lichtenstein and Peter Joseph Lenné. 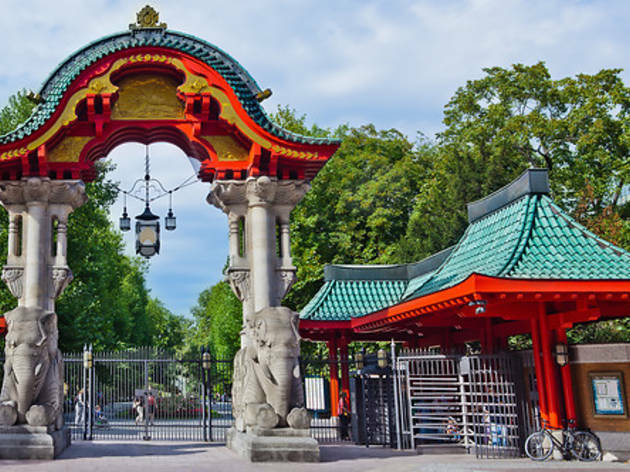 With almost 14,000 creatures, it's one of the world's most important zoos, with more endangered species in its collection than any in Europe except Antwerp's. It's beautifully landscaped, with lots of architectural oddities, and there are plenty of places for a coffee, beer or snack. Enter the aquarium from within the zoo or through its own entrance at Budapester Strasse 32 by the Elephant Gate. More than 500 species are arranged over three floors, and it's a good option for a rainy day. On the ground floor are the fish (including some impressive sharks); on the first you'll find reptiles (the crocodile hall is the highlight); while insects and amphibians occupy the second. The dark corridors and liquid ambience, with tanks lit from within and curious aquarian creatures floating by, are as absorbing as an art exhibit. Elsewhere, the baby polar bear Knut has become one of Berlin's major tourist attractions. Open Zoo Summer 9am-6.30pm daily. Winter 9am-5pm daily. Aquarium 9am-6pm daily.